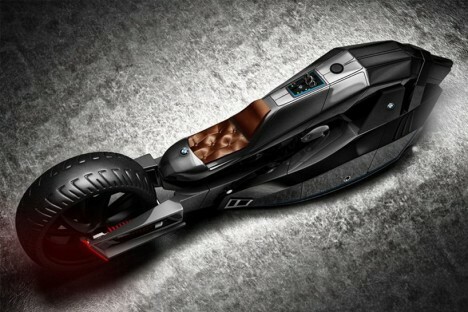 With luxury befitting Bruce Wayne and dark details worthy of Batman, this BMW concept bike by Istanbul-based Mehmet Erdem is a fresh take on a fancy ride. The ‘Titan’ lets you lean into curves, hugging an aerodynamic frame with a side-clipped rear tire hugged by turn signals and break lights. 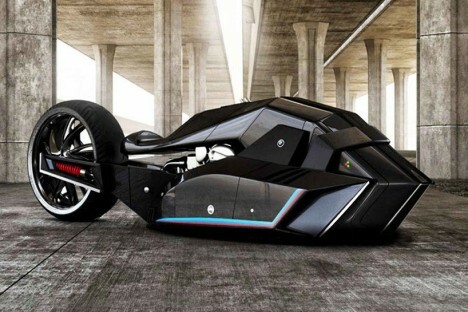 The whole thing looks as much like a transformer as a motorcycle, containing storage space or places for your hidden crime-fighting weaponry alongside the front wheel. 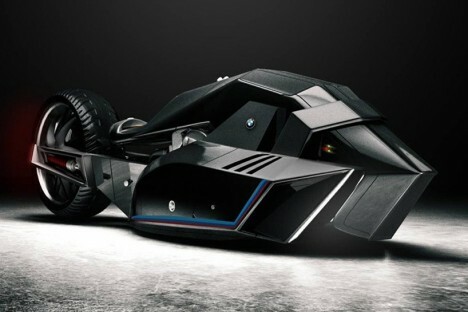 Alas, like the Caped Crusader himself, this Dark Knight cycle is unlikely to go from concept to reality anytime soon. See more in Bikes & Cycles or under Transportation. August, 2016.